You know yourselves, my brothers, that our visit to you has not proved ineffectual. We had, as you know, been given rough treatment and been grossly insulted at Philippi, and it was our God who gave us the courage to proclaim his Good News to you in the face of great opposition. We have not taken to preaching because we are deluded, or immoral, or trying to deceive anyone; it was God who decided that we were fit to be entrusted with the Good News, and when we are speaking, we are not trying to please men but God,who can read our inmost thoughts. You know very well, and we can swear it before God, that never at any time have our speeches been simply flattery, or a cover for trying to get money; nor have we ever looked for any special honour from men, either from you or anybody else, when we could have imposed ourselves on you with the full weight, as apostles of Christ. Instead, we were unassuming. Like a mother feeding and looking after her own children, we felt so devoted and protective towards you, and had come to love you so much, that we were eager to hand over to you not only the Good News but our whole lives as well. Alas for you , scribes and Pharisees, you hypocrites! You who pay tithe of mint and dill and cummin and have neglected the weightier matters of the Law–justice, mercy, good faith! These you should have practised, without neglecting the others. You blind guides! Straining out gnats and swallowing camels! Alas for you, scribes and Pharisees, you hypocrites! You who clean the outside of cup and dish and leave the inside full of extortion and intemperance. Blind Pharisee! Clean the inside of cup and dish first so that the outside may become clean as well. What is the test of authentic spirituality? Or, to phrase the question differently, what does God require of us? We ought, when pondering this matter, realize that divinity exists in a realm beyond the limits of our ability to understand; God refuses to fit into our intellectual boxes. So, as valuable as theology can be (which is to say, very), we need to avoid turning theological concepts into idols. Karen Armstrong proposes the answer that makes the most sense to me. Compassion, she says, is the test of authentic spirituality. Compassion is at the heart of the reading from 1 Thessalonians. 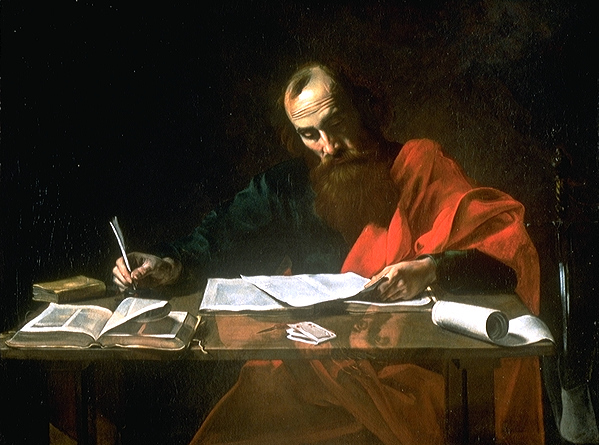 Paul cared deeply for the people of Thessalonica, so he shared his life with them. Compassion impelled Jesus, too. This helps explain why he was so critical of those who, in the name of God, obsessed over small matters while neglecting what mattered most–that is, to love God with everything and each other as one self. Compassion transcends species. The most appropriate image I could find for this post is the one I have attached to it. I have provided a link to its source, and the story is worth reading. 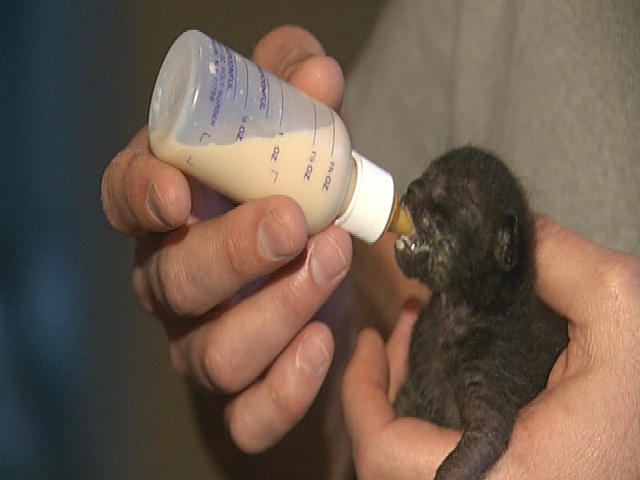 David Dixon and Paul Ortega, of Palm Springs, California, rescued four kittens from a trash bag in 2010. Two survived. Dixon and Ortega named the survivors Scooter and Dixie. The men bottle fed the kittens until this was no longer necessary. The kittens became well and the humans decided to keep them. Admittedly I have a soft spot for cats, especially vulnerable kittens. Felines are creatures of God and agents of grace, and human compassion ought to extend to all who are vulnerable, regardless of species. Jesus would approve of what Dixon and Ortega have done for these cats. In contrast I read about honor killings, sometimes by immigrants to the United States. Those who perpetrate these crimes use religion to justify their actions. But the God I worship does not approve of honor killings. The God I worship teaches compassion, condemns honor killings, says to love my neighbor as I love myself, and adores kittens. (Being part of creation, they fall under the description of “good.”) This God does not always agree me with me. Indeed, I know that I am wrong about certain points, but remain unsure which ones those are. But compassion matters more than fine points of theology. May the hallmark of your faith life, O reader, be compassion. This is the land of which I swore to Abraham, to Isaac, and to Jacob, saying, “I will give it to your descendants”; I have let you see it with your eyes, but you shall not cross over there. and the meditate on his law day and night. 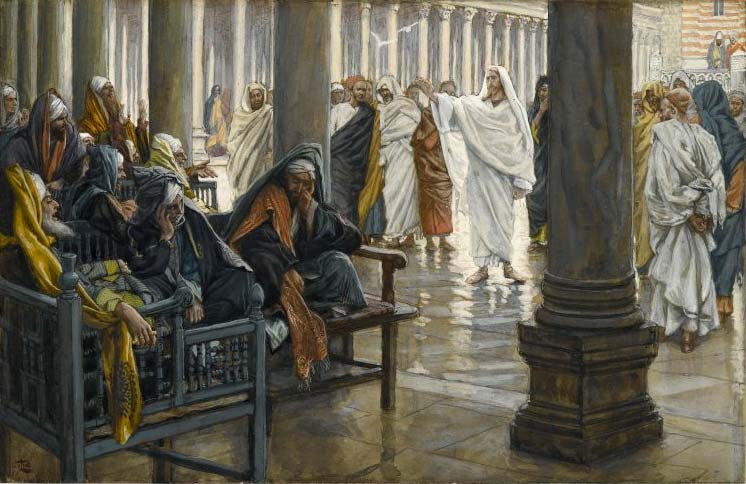 When the Pharisees heard that Jesus had silenced the Sadducees, they gathered together, and one of them, a lawyer, asked him a question to test him. Teacher, which commandment in the law is the greatest? “You shall love the Lord your God with all your heart, and with all your soul, and with all your mind.” This is the greatest and first commandment. And a second is like it: “You shall love your neighbor as yourself.” On these two commandments hang all the law and the prophets. What do you think of the Messiah? Whose son is he? until I put your enemies under your feet”? If David thus calls him Lord, how can he be his son? There was a notoriously violent slave master in the Antebellum U.S. South. This man also claimed to be a good Christian. Indeed, he attended church frequently and bore the nickname “Deacon.” One of Deacon’s slaves left a written testament in which he claimed not to want to go to Heaven if Deacon was going to be there. Many of us are aware of the Golden Rule and the Shema. We quote them and make warm and positive statements about the Good Samaritan. Yet how often do we act to the contrary and/or justify those who do? Do we really believe our excuses or are we trying to convince ourselves of that which we know to be immoral? And how much better off would the rest of us be if certain people in some corporations valued the common good more than short-term profits? This is a very basic topic–one I have covered elsewhere, as the links testify. So, in the name of not repeating myself too many times, I conclude with these words: Whatever the cost(s) to ourselves, may we love our neighbors as ourselves. Let me remind you, brothers, how hard we used to work, slaving night and day so as not to be a burden on any one of you while we were proclaiming God’s Good News to you. You are witnesses, and so is God, that our treatment of you, since you became believers, has been impeccably right and fair. You can remember how we treated every one of you as a father treats his children, teaching you what was right, encouraging you and appealing to you to live a life worthy of God, who is calling you to share the glory of his kingdom. Alas for you, scribes and Pharisees, you hypocrites! You who are like whitewashed tombs that look handsome on the outside, but inside are full of dead men’s bones and every kind of corruption. In the same way you appear to people from the outside like honest men, but inside you are full of hypocrisy and lawlessness. Alas for you, scribes and Pharisees, you hypocrites! You who build the sepulchres of the prophets and decorate the tombs of holy men, saying, ‘We would never have joined in shedding the blood of the prophets, had we lived in our fathers’ day.’ So! Your own evidence tells against you! You are the sons of those who murdered the prophets! Very well then, finish off the work that your fathers began. Contact with a corpse made one ritually unclean (Numbers 19:16). So imagine that it is the month of Adar, and that you, O reader, are a pilgrim in Jesus’ day traveling to Jerusalem for the Passover. You might become ritually unclean, and therefore ineligible to celebrate Passover, if you come into contact with a roadside tomb. Fortunately for you, people have whitewashed the tombs in advance, so they will stand out, and pilgrims will not become ritually unclean by accident. This day’s reading from 1 Thessalonians begins with Paul defending himself against unfounded criticisms. Why else would he have pointed to his work ethic and his treatment of others? Here we have an example of an old truth: Whatever you do, somebody is likely to criticize you. But the part of the reading that attracts my attention is verse 13: God’s message is a living power among those who believe it. Belief is trust; it indicates an influence in how one lives. So belief becomes evident in actions. The fault of the scribes and Pharisees that Jesus criticized was that their belief was self-serving. It made them look good to themselves and many others, but it was a disguise for spiritual rot. Jesus calls us not to be tombs or spiritual memorials, but living testimonies to him. Once in a while we might have to say something, but our actions ought to do most of the talking. The aspect of evangelical and fundamentalist Christianity that bothers me most is its preoccupation with individual salvation at the expense of the well-being of one’s community and society. I have had conversations with people possessed of this spiritual understanding. Many of them do not care if the world burns; they have Jesus. (Someone expressed this sentiment to me a few years ago, without embarrassment.) According to this point of view, social justice can take a back seat as long as a man’s hair is not too long, a woman’s skirt is not too short, and someone is learning that he or she will go to Hell unless he or she comes to Jesus. Without dismissing the necessity of Jesus (I am a Christian. ), I prefer a holistic gospel. It is pointless to cure one person of spiritual sickness and not care about societal ills. Indeed, we humans are not separate from our societies. And love of God is more effective than fear of damnation in drawing one into a spiritually healthy relationship with God. Disclaimer, for the sake of accuracy: Many evangelical Christians are quite concerned about social justice and responsible ecology. I applaud them. Unfortunately, some of their co-religionists criticize them for the breadth of their concerns. May we–you and I–exhibit the living power of God to all, so that all who seek it and cross paths with us will see it working within us. And, to borrow a line from St. Francis of Assisi, may we preach the gospel at all times, using words when necessary.